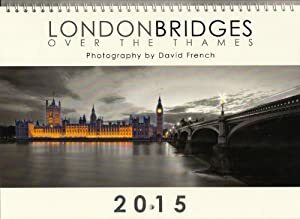 2015 Wall Calendar London Bridges over the river Thames Blackfriars Bridge at night and St Pauls London Bridge and the Shard Golden Jubilee Bridge multi images black and white colour daytime night time from Tower Bridge to Hammersmith Bridge. St Pauls at night with a very bright full moon over the river Thames and Tower Bridge in the back ground with HMS Belfast and the tower of London on the river Thames. Tower Bridge opening and the Tower of London at night images. River Thames London part of the Thames Bridges collection. Golden Jubilee bridge East and West of the Hungerford Railway bridge built for Queen Elizabeth's Golden Jubilee celebrations and London Eye at night .London bridges over the river Thames collection Half Tone black and white. 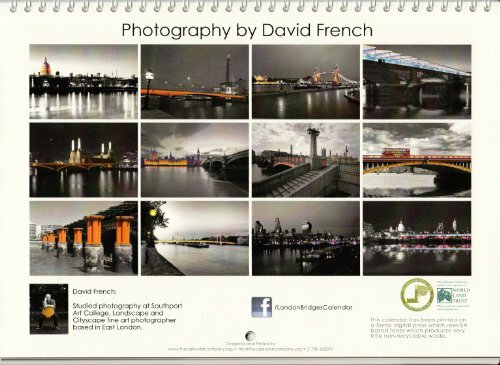 Westminster Bridge across the River Thames and the London Eye London one of the series of London Bridges collection cityscapes. Westminster and big Ben in the background. Westminster the houses of parliament and Westminster Bridge across the River Thames the City of Westminster London cityscapes and landscapes of London. Tower Bridge and HMS Belfast at dusk, London Thames Bridges from Battersea Bridge to Tower Bridge including , Westminster, The London Eye , St Pauls, the Shard and the Tower. London river site seeing .